You just golf. It's what you do. 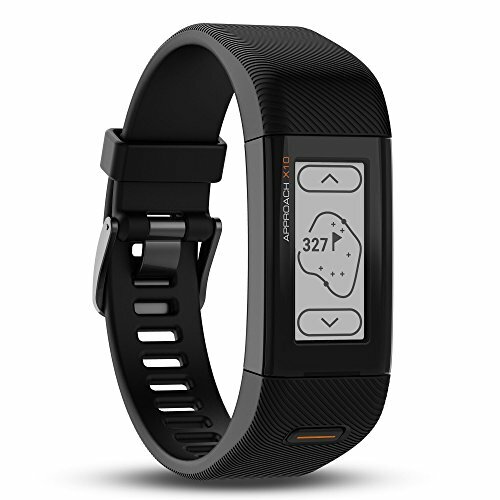 The simple, intuitive approach X10 GPS golf band is just golf, too. It shows precise distances to greens and hazards on more than 41, 000 preloaded courses worldwide. It has a Convenient touchscreen display and is so lightweight and comfortable, you'll barely know it's there. Garmin Approach X10 GPS Watch Golf Rangefinder - New 2018 Pick Color and Size! Store: smooth-selling Condition: Brand New Price: $148.88 Total Price: $148.88 Buy It from smooth-selling No returns. Last updated: April 20, 2019 at 11:36 EST. Pricing information is provided by the listed merchants. GoSale.com is not responsible for the accuracy of pricing information, product information or the images provided. Product prices and availability is subject to change. Any price and availability information displayed on amazon.com or other merchants at the time of purchase will apply to the purchase of the product. As always, be sure to visit the merchant's site to review and verify product information, price, and shipping costs. GoSale.com is not responsible for the content and opinions contained in customer submitted reviews.